– completely different approach in the design – hand drawn art which takes inspiration from local styles, flavors, florals, faunas and local icons (points of attraction) – again see the pic. I think it looks somewhat similar to DW Tumblers. You might hate this news or look forward to start collecting new Been There series, but it’s coming out anyway. Again the release date for US is March 26,2018. Canada will start getting new mugs in June, 2018. 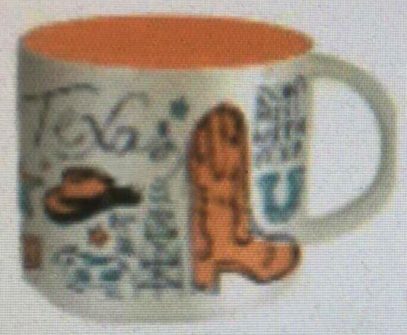 Update of February 10, 2018: there is another leaked information from insiders and it states that mugs will be released in May in licensed stores. So here is the question: does it mean these will only be available in licensed stores or they’re coming to regular stores in March and to licensed stores in May? I bet on the second option and we gonna be able to see that soon. from where do you have these informations please? Look for Facebook groups where muggers share info about these. Hello Michal. I am probably late, but just go to Facebook and search for “Starbucks mugs” or “Starbucks collection” and check “group” filter. Then choose the groups with the biggest number of members. Where do you have these informations from please? I was a Starbucks in Columbus, Ohio on Mar 28th and purchased the Ohio mug. The Been There Series is easy to resist as they are not as visually appealing as the YAH mugs. We will continue to enjoy our YAH mugs and their attached memories. I was thinking the same, till I’ve got them in my hands. I can’t afford collecting the whole US series financially, but I will do some for sure.